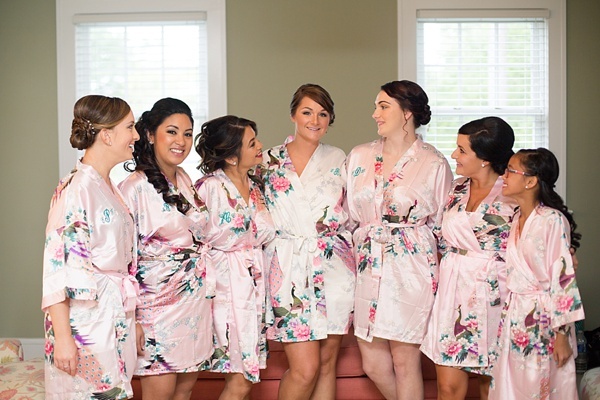 It's a dash of sass and a sprinkle of sweet with these gorgeous satin wedding party robes. You can't help but feel extra pampered during hair and makeup, and they make for beautiful photos! 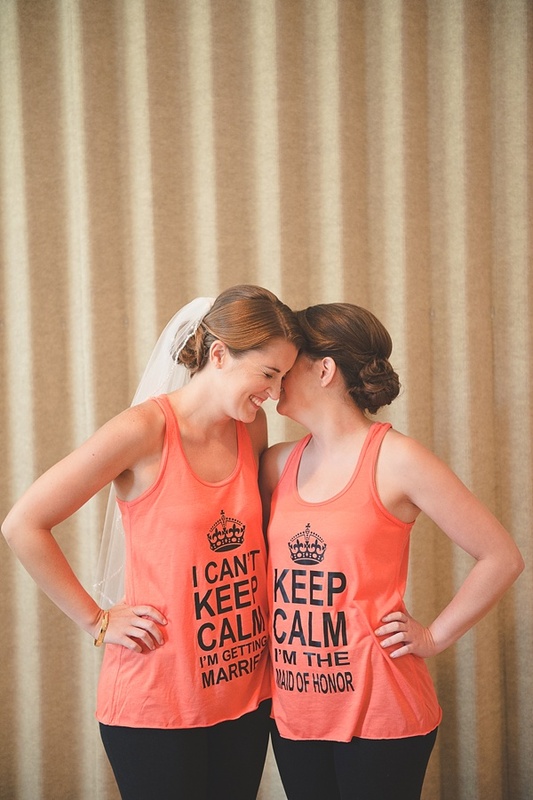 With a little nod to England's widely popular WWII motivational phrase, these coordinating wedding day tank tops are just too fun, especially for sisters who always know how to make each other laugh. When you say "Team Bride," you MEAN Team Bride. Loose-fitting and oh-so-ready for the big game (errr day), these custom sporty bridesmaid basketball jerseys can play as double duty for bachelorette parties AND while getting ready... just like what this bride Anna and her gals did! 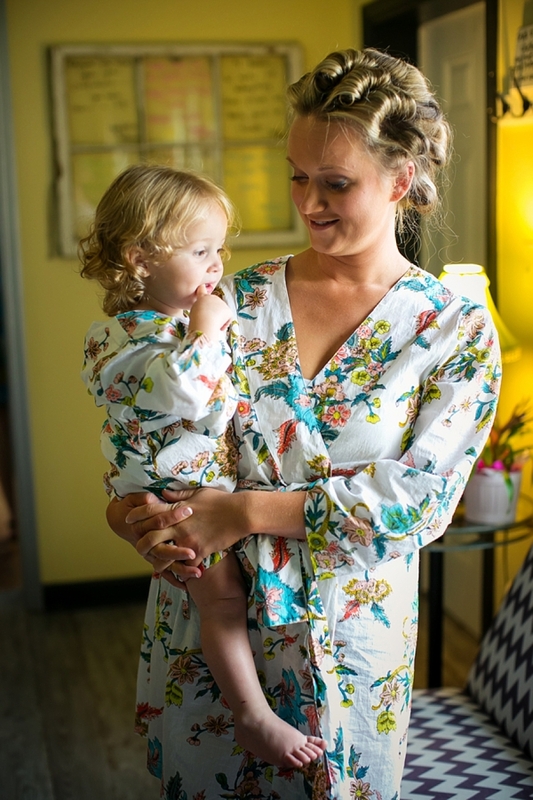 Even your tiniest bridesmaid or flower girl can feel part of the wedding party, too! These are especially perfect for mommy brides and their little princesses; they make for a wonderful moment to share together. What gal doesn't love a comfy oversized shirt to wear? 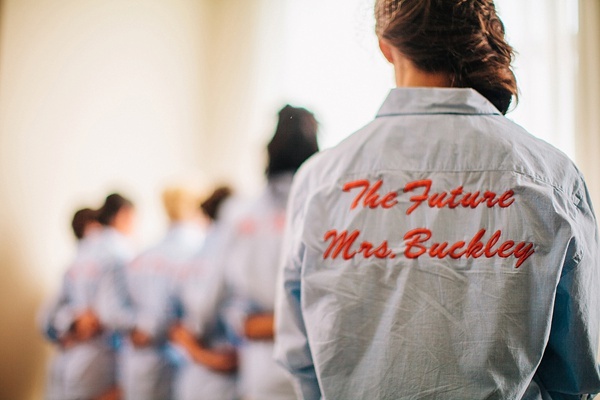 And it's even better when it's embroidered with a fun wedding statement on the back! Boyfriend shirt made into bridal awesomeness accomplished. Monograms go together with Southern girls like sweet tea on a shaded porch. 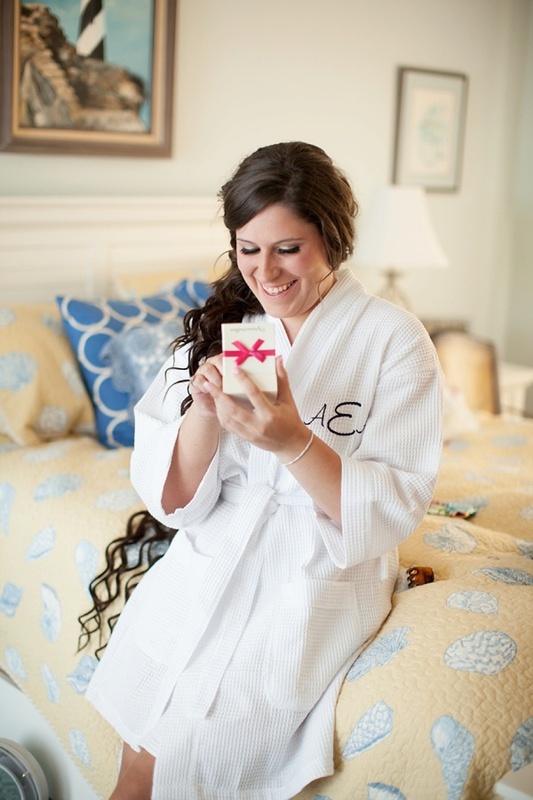 Mix in a little wedding with a cozy spa robe, it's practically required to get your initials stitched on! Printed florals are a huge favorite in the wedding world. It's romantic and pretty, and we are obsessed with it! 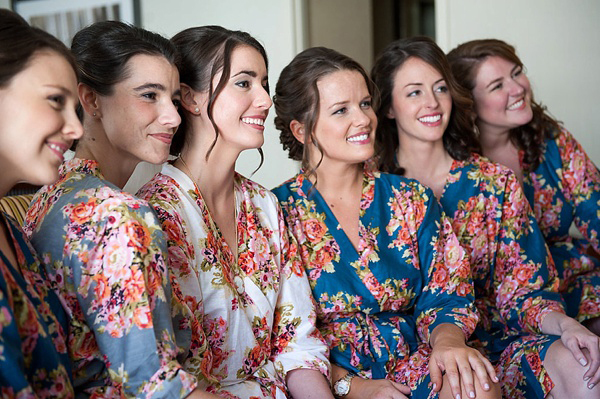 We especially love that this bride chose a different color, but that it still coordinated with her ladies!